1.26'' Comb, 12.50'' Length of Pull. This comb is intended for use with standard iron sights. The low comb height allows for the ideal placement of the shooter's cheek, in line with the sights. It has the shorter length of pull buttstock, ideal for shooters that prefer a shorter length of pull. 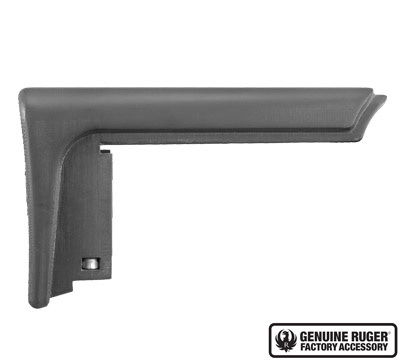 Fits any Ruger® rifle with the Modular Stock System.